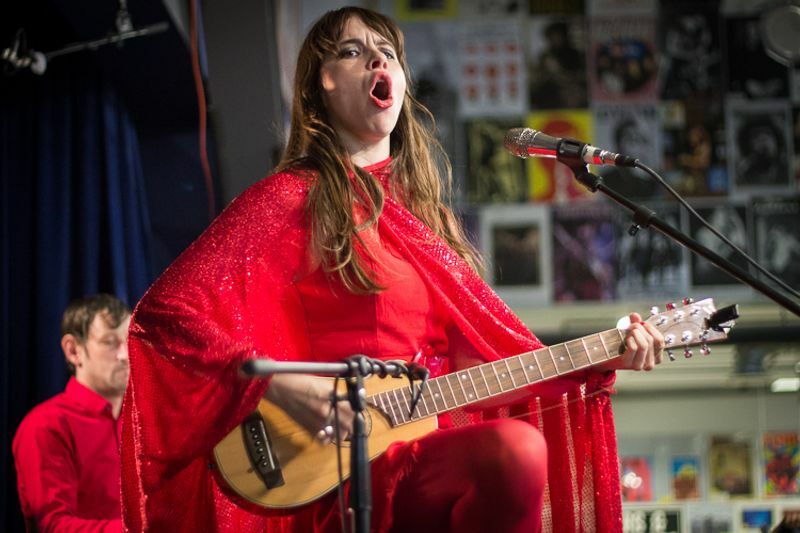 Teri Gender Bender and Omar RodrÃ­guez-LÃ³pez of Le Butcherettes gave one the most riveting acoustic performances to have graced the Amoeba stage. For the finale, Teri took the show to the street. She got onto a bus stopped in front of the store and sang and strummed her way through the rush hour passengers before exit back into the store. 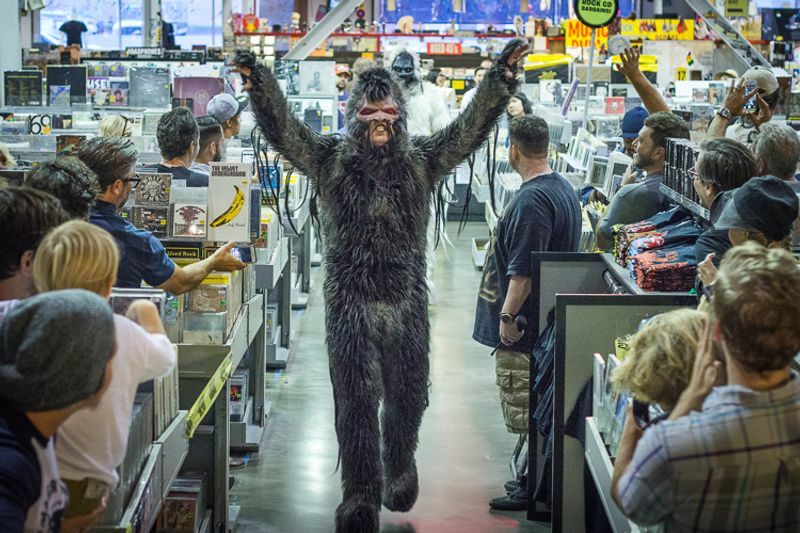 The throng of fans in attendance got to witness a truly spontaneous guerilla performance. Their new album, A Raw Youth, is out now on Mike Patton’s Ipecac Recordings label. 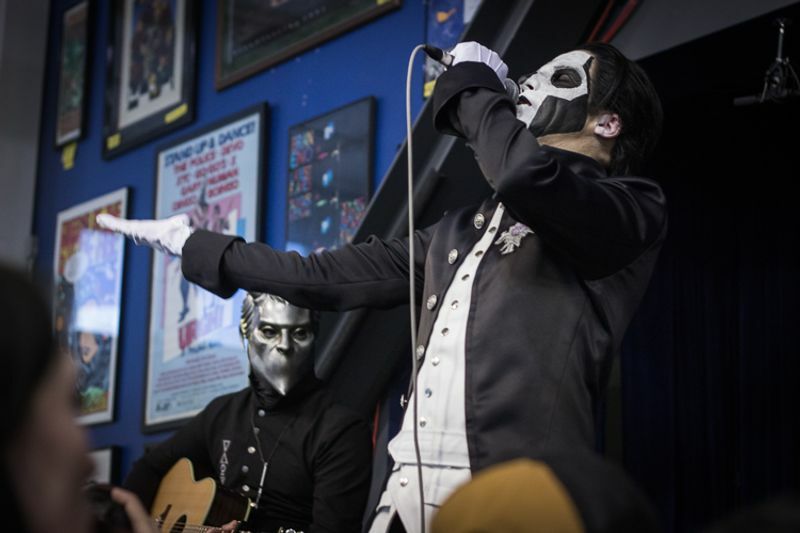 Swedish death metal band Ghost with new lead singer Papa Emeritus III and accompanied by two of the Nameless Ghouls, stripped it down for an acoustic performance that packed the house and drew the faithful to sing along, dress toddlers up in Papa III doppelgangers and to meet the band after their set. Epic and rousing for the faithful (faithless?) fans and also for the uninitiated at Amoeba! Watch their episode of “What’s In My Bag?” below. Their new album, Meliora, is out now. This show helped fuel the argument that virtuoso guitarist Clark is the second coming of Hendrix. 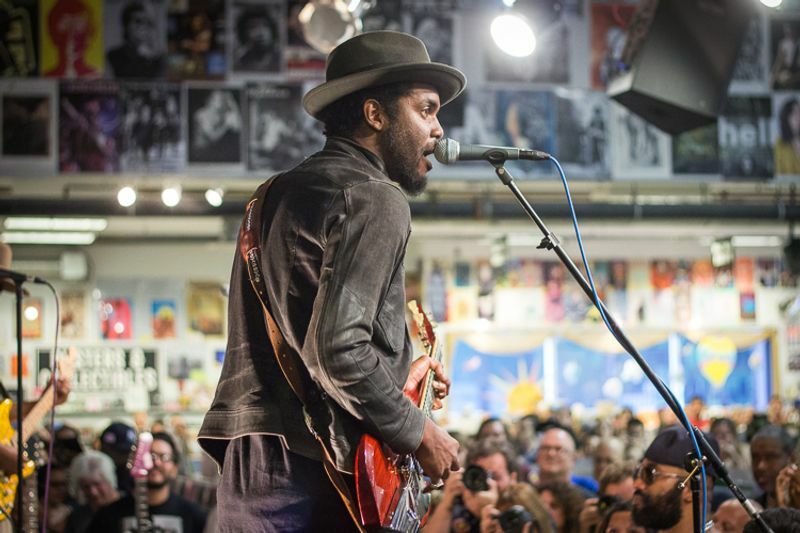 His acid-laced psych-blues riffs practically blew the doors off of a very crowded Amoeba Hollywood. Check out his album The Story of Sonny Boy Slim and hear what you’ve been missing. Egyptian Lover – November 16 - He turned the aisles into a packed dance floor with a master class in 808 beats and tight dance moves. Best Friday night ever? Mild High Club – November 5 - Locals playing moody, lush soundscapes. The instrumental soundtrack to sunsets and smoggy dreams. 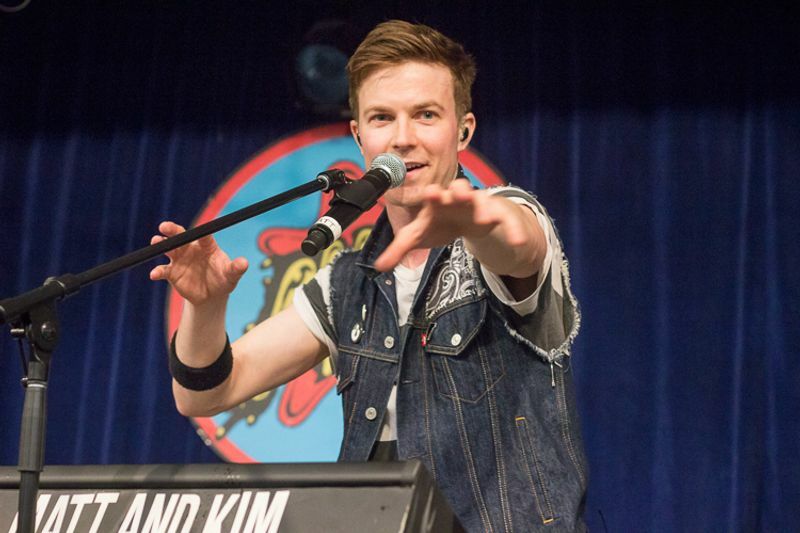 Matt & Kim – April 7 - One of the highest energy and committed performances ever – plus BALLOONS! 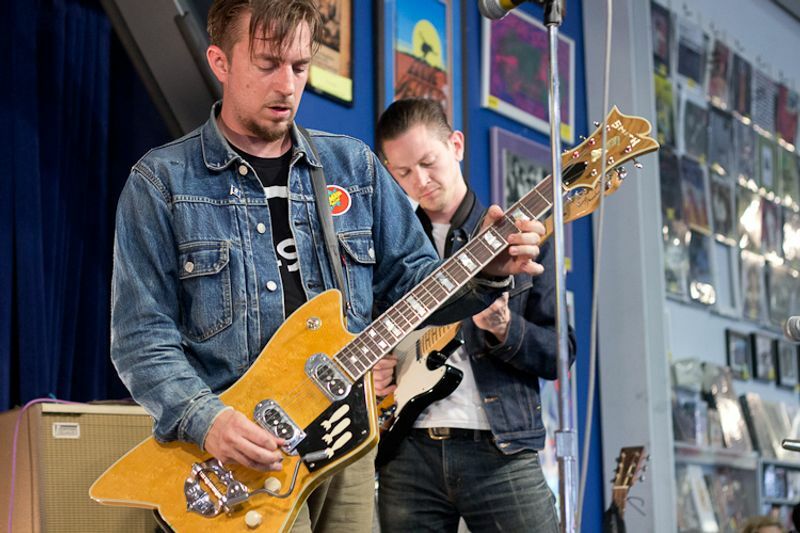 Wanna see more photos and videos from our year of in-stores? Check ‘em out on Amoeba.com, or pick up our 2016 calendar with the best in-store photos of the year.